Although I was raised a Catholic, I did not grow up in a God-centered home. My parents, two sisters, all my uncles, aunts, and cousins are Catholic. I can't say any of them were devout, although I know that some of them religiously attend Wednesday novena, charismatic prayer meetings, and are members of some religious organizations. Still, I don't know the extent of their relationship with the Lord because I was never close enough with any of them to know. As a child I was also invited to attend Catholic charismatic prayer meetings, even serving at the music ministry at some point. I did not attend a Catholic school, but I remember we had character building and values education subjects at my school. So the bulk of what I know about God and religion were based on what was taught in those channels. And also - Psalty, the Singing Songbook. I was introduced to Psalty at an early age. I was still in primary school when a cousin lent me a cassette tape of Kids' Praise 4. I really enjoyed listening to it. In fact, my enjoyment was so great that I ended up buying other Kids' Praise tapes. Psalty really taught me a lot through those tapes. I may not have fully understood it at the time, but it sure planted the seed in my heart which paved the way for me to seek the Lord in the coming years. 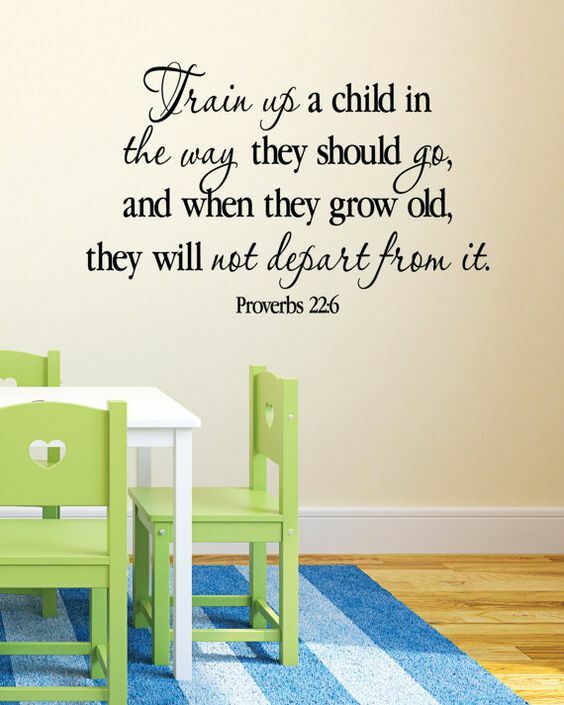 Indeed, Proverbs 22:6 proved to be true in my life. Although my whole family and I prayed the rosary everyday and go to church every Saturday (we used to attend the anticipated mass), I still felt something was lacking. Even though I was aware that there is a God, I just did not feel close to Him. A great part of my life, I thought God's only purposes were to grant my prayers and to banish to hell anyone who go against His commandments. To me, He was both a genie and a police. I distinctly remember one encounter with a classmate when I was in Grade 5. She was a Born-Again Christian and she was telling me about her Bible study activity after school. Now the thought of reading the Bible at that time was so foreign to me because I didn't know anyone who reads, much less studies, the Bible. But even then I knew at the back of my mind that that's what everyone is supposed to do - study the Bible so that one can learn more about God - although I was personally not doing it. For a good number of times I tried reading the Bible on my own, but I just felt so overwhelmed by the small prints and the big words. No one in my immediate family reads the Bible and I do not remember seeking anyone's help. Soon enough, I gave up on my reading and just continued to live an ordinary life, going where the tide takes me. That encounter plus the things I learned from Psalty made me very curious about what is taught in a Born-Again Christian church. I had no idea that I would be a member of one almost twenty years later. The instruments that led me to be where I am now came in the form of two officemates who are members of a local Christian church. The day they invited me to attend a night service, I was not even in a desperate situation in my life. It was actually just an ordinary day for me. I had no grave problems that made me more desperate to seek the Lord. I came out of curiosity and to finally answer my longest lingering question: what is taught in a Christian church? And why are Christians a little bit "different" from other people? That night turned out to be the turning point of my life. I had no idea building a home can be so tedious. Seriously, it's like planning a wedding all over again. I feel the excitement, the joy, the stress, and yes, even the drain that comes with pursuing passion projects. I had a vision in mind on how my next home is going to look like. The Pinterest-worthy kind. But my ideas are bumped off along the way as I am hindered by limitations in space and budget. And then other ideas - doable ones - come in which proves to be more problematic than helpful because they were nowhere in my vision at the onset. Obviously, because they're new ideas. But of course the only way to go is to ride the waves and make the most of what I have. When Plan A doesn't work, go to Plan B, or to Plan C, or to Plan Z, until everything fits perfectly. I am actually getting a bit anxious already because the design process is taking more time than I had expected. The new ideas look promising, but I worry about the overall effect it would have on my initial vision. But I guess I have to chuck that off, right? Plan A is officially superseded with Plan B. Now let's see how many plans it will take until all the pieces fit. Today is the last day of the first month of the new year and I find myself thinking where my January went. And because my 33 year old brain has already stored quite a lot of memories, I now rely on external tools to help me remember what happened to my days, a.k.a. my planner. At the start of the year, I read somewhere that one way to make the most of the year is to live each day such that when you look back at the end, you'll be happy with what you did. It's like breaking down your year into bite-sized pieces - and that takes the pressure off trying to live a great year, right? You count your days, do your best everyday and before you know it, the whole year is over. Much like this January. I feel like I've only just reeled back from the holiday season and now it's over. The events of the past years have been a blur to me. I mean, I remember the big things, but the tiny details I tend to forget. If it weren't for Facebook or Instagram I wouldn't even remember some of them. So this year I planned to be more mindful of the days that pass so that at the end of the year I will be able to see where my year went. And maybe if I keep at it, I will be able to use it to see where my WHOLE LIFE went. Hopefully, as I look back on my days at the end of my life, I will be happy to see where I have used this God-given life. So where did my January go? Well it started at Conrad. My birthday wish last year was to spend my birthday at a nice hotel where I can just relax with my family. So we checked in at Conrad on my birthday and we got to watch fireworks by the bay on New Year's. The next day, Lex finally gave in to my coaxing to do a number on the potty. The first time Lex poopooed in the toilet. What a great milestone to start the year! As I write this, he has been fully potty trained during the day and is in the process of potty training at night. They say it takes longer to potty train at night but I also know that it won't last forever. So I just enjoy it. We're officially homeowners! January also marks a big milestone for our family as we accepted our very first home. We are a few months shy of moving out of our current residence. I will miss this house but I couldn't be any happier than living in our very own space. I finished my first fast. Every year, our church (Every Nation) starts the year with a week of prayer and fasting. This year is the first time I participated and incredibly, I lasted up until the end with only liquids and one meal a day to sustain me. Looking forward to the mid-year fasting. I feel like there were some things that I could still improve on in my prayer life during the fast. Annual financial and household planning. We do this every year since Mon and I got married. We plot our projected income and expenses for the year to see what few "luxuries" we can afford but still end the year having more than what we had at the start. Like this year we know that we cannot afford any major travel what with the bulk of our expenses going to house furnishings and such. Manila Ocean Park for Lex's birthday. We decided on that venue because I saw how happy he was when we went to Singapore Zoo and River Safari last year. He had a blast! We were even surprised that he enjoyed the Fish Spa. We thought he was going to be averse with the idea of fish munching on his feet but he was actually very welcoming about it. Days after our little excursion, he kept on telling us, "I want to see fish in Manila Ocean Park!" Lex is becoming more proficient in reading. He started reading sight words when he was just two years old. Now he can actually read CVC words easily and is starting to read words with consonant blends. He can also read numbers up to hundreds. I am so proud of this boy and how an amazing learner he is. The life-changing magic of tidying up. Marie Kondo's Spark Joy is currently in my reading list (along with Daphne Paez's Chic and Emily Ley's Grace Not Perfection). I think it is very timely that I'm reading the book now (I've had it in a while) as we are about to move into our own home. I'm in the middle of discarding clothes and I feel lighter already. Hahaha. Chos. I made a commitment to say no to the little things that do not bring value. Starting with limiting time spent in social media. I noticed that when Lex often sees me on my phone, he wants to use a gadget as frequently also. May it be his dad's Vita or my iPad or the PS4. When I started limiting my screen time, Lex doesn't borrow a gadget as much anymore and instead just wants to play with real toys. Wow, this has been a long list of milestones and happenings. Writing it down, I can't believe so many things have happened in just one month. How did your January pan out? I hope it was as fruitful and as productive as mine. But if not, that's okay too! Whenever I feel that I am not in a good place, I remind myself that I am exactly where God intends me to be. And there is peace in knowing that everything that happens is in accordance with His good, pleasing, and perfect will, because then even our sufferings become purposeful. If you've had a great month, I hope it continues on for you. But if not, I pray that your character will be enriched by your circumstances. May you have a great rest of the year! It is a little early for a year-end prayer but today I just felt like writing one. I hope amid the busy Christmas season, you also find time to thank the LORD for the year that is about to end, and to pray for your plans next year. First of all, thank you for opening worlds for me this 2016. Thank you for allowing me to realize things about myself and to think of ways on how to move forward. Thank you for your mercies and forgiveness, as it allows me to forgive the people that wronged me. Thank you for revealing yourself to me, LORD. I have never known you as much as I know you now. I am eternally grateful for Your LOVE. I pray that next year will be another milestone in our relationship. LORD, I have many goals for 2017 and beyond and I am praying for alignment to your purposes. I recognize that I have many plans but ultimately it is Your purpose that prevails. You know what is in my heart and You know that those plans and desires were made first to honor You and second to celebrate the person that You have created me to be. I offer it all up to you, Father. Use my talents and my skills to advance Your Kingdom here on earth in one way or another. And LORD, starting this very moment until I lay to rest, help me to constantly think less of me and more of You. I can only do things through Your strength and that's the only way I want it to be. Enable me to fulfill your plans and purposes for me. As always, thank you for your provisions, for our good health, for our milestones as a family. We are living victorious lives because You love us. Thank you for loving us despite us. You are really a loving and merciful God. There is none like You. I love you, God. Some people thrive in pressure. Some people don't. Those who thrive in pressure may have a better status in life, may have more expensive belongings, can afford to buy anything they want... and that's okay. But I guess the problem lies on the mindset of both parties. Those people who thrive in pressure might think that everyone should do it to be successful. And might probably look down on those people who don't strive as much. While those people who don't thrive in pressure, who are honestly contented with what they have, fear that they are being looked down upon by the other party. And so, insecurity sets in. And then those people who don't thrive in pressure try to better themselves by trying to pressure themselves to have more, just to let those people who thrive in pressure see that they are actually doing something to better their status and have more money. But you see, I think everyone should just stay true to who they are... just be unapologetically ourselves! Not saying that people should live a stagnant life. I just think that everyone should just be happy with themselves. Not put pressure on people who don't thrive in pressure. And not try so hard to thrive in pressure when all their happiness are being sucked right out of them by doing so. Blatantly, I think people should just stop judging one another and mind their own business. And accept that not everyone is and should be like them.